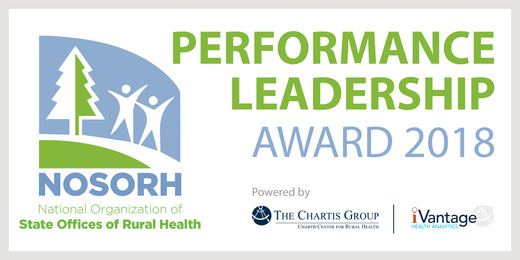 Beatrice Community Hospital and Health Center is proud to be recognized as a Leadership Performance Award recipient from The Chartis Center of Rural Health and the National Organization of State Offices of Rural Health for overall excellence in the categories of outcomes and patient perspective. This award recognizes top quartile performance among all rural hospitals in the nation and is announced annually on National Rural Health Day (Nov. 15). The Performance Leadership Awards are determined each year using iVantage Health Analytics’ Hospital Strength INDEX, the industry’s most comprehensive and objective assessment of rural hospital performance. Leveraging data from public data sources, the INDEX aggregates data from 50 rural-relevant metrics across eight pillars to derive a single overall percentile rating for all Critical Access Hospitals and Rural & Community Hospitals. About The Chartis Group The Chartis Group® (Chartis) provides comprehensive advisory services and analytics to the healthcare industry. The Chartis Center for Rural Health (CCRH) was formed in 2016 to offer tailored services, performance management solutions, research and education to rural hospitals and facilities.